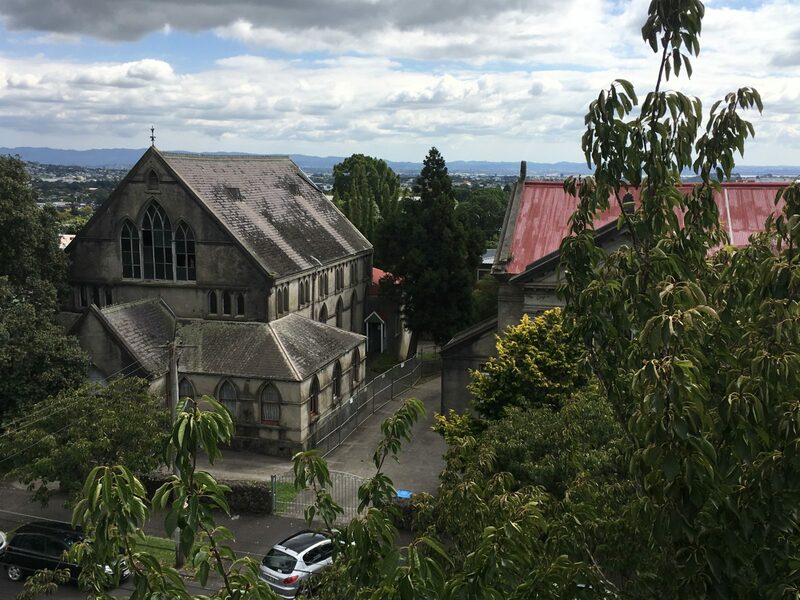 Last week Auckland Council Hearing Commissioners declined the application to demolish the Category B St James Sunday School Hall at 31 Esplanade Rd Mt Eden. The applicants View West wanted consent to demolish the 1885 Gothic early concrete building to facilitate the conversion of the adjacent St James Church into apartments. The hearing commissioners Richard Knott and Alan Watson agreed with council heritage and planning staff that the application should be declined and say that the applicants have not comprehensively considered possibilities for the building’s reuse. Civic Trust and Heritage NZ both presented strong cases to support the council’s stance. The Civic Trust submission is available on the submissions page of the website. This decision is very good news, as this was a test case for the new Unitary Plan. It was the first demolition application under the Plan for a Category B listed building, and the decision to decline sets a welcome precedent for the retention of listed heritage buildings.